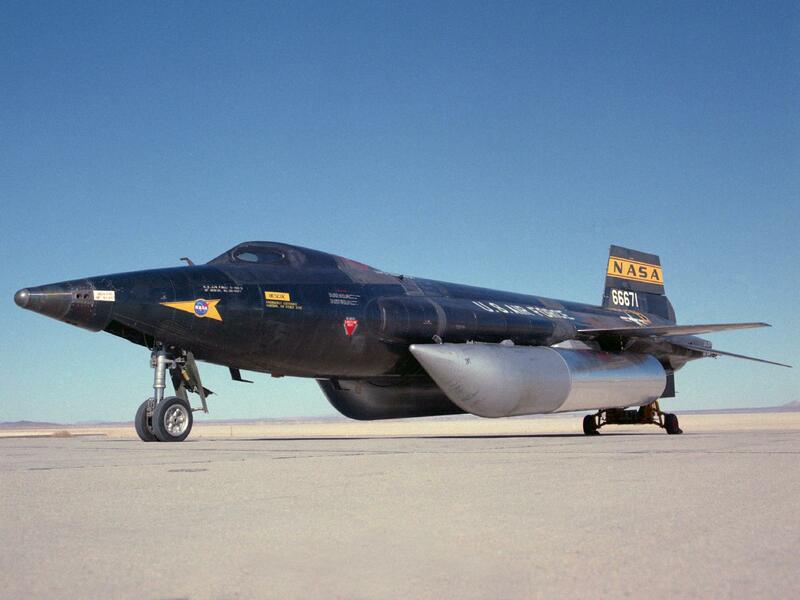 7 March 1961: Launched over Silver Lake, a dry lake bed near the California/Nevada border, at 10:28:33.0 a.m., Pacific Standard Time, test pilot Major Robert M. White, U.S. Air Force, flew the number two North American Aviation X-15 hypersonic research rocketplane, 56-6671, to Mach 4.43 (2,905 miles per hour/4,675 kilometers per hour) and 77,450 feet (23,607 meters), becoming the first pilot to exceed Mach 4. 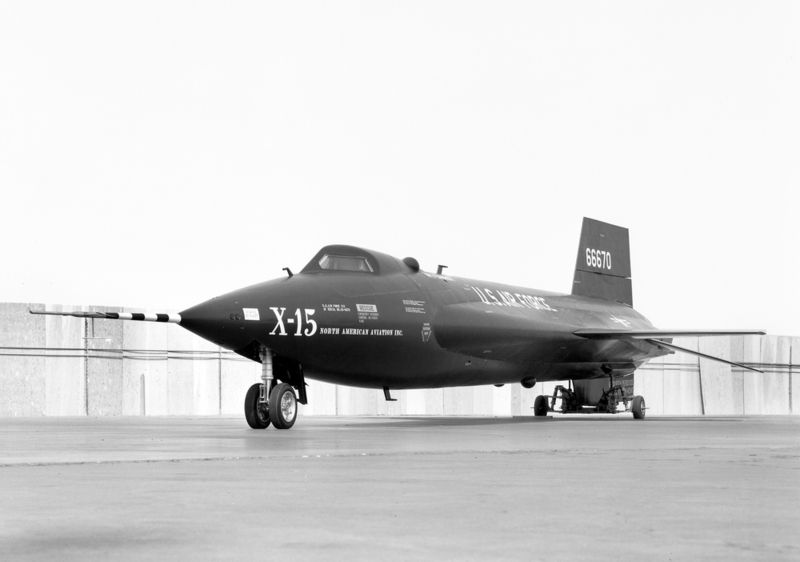 This was the first flight for the number two X-15 with the Reaction Motors XLR99-RM-1 engine, which was rated at 57,000 pounds of thrust (253.55 kilonewtons). The flight plan called for a burn time of 116 seconds, an altitude of 84,000 feet (25,603 meters) and a predicted maximum speed of Mach 4.00. The actual duration of the engine burn was 127.0 seconds. Peak altitude was lower than planned, at 77,450 feet (23,607 meters). The longer burn and lower altitude translated into the higher speed. 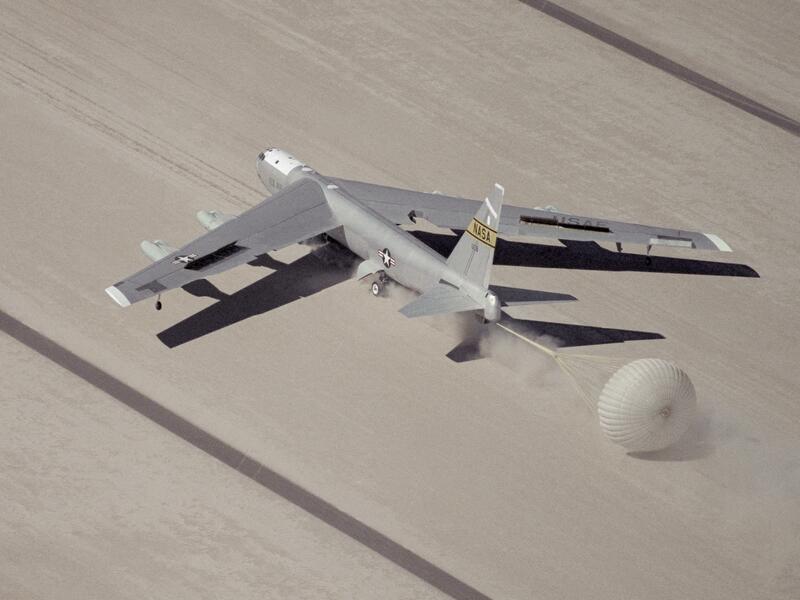 The total duration of the flight, from the air drop from the Boeing NB-52B Stratofortress carrier, 52-008, to touchdown at Edwards Air Force Base, was 8 minutes, 34.1 seconds. 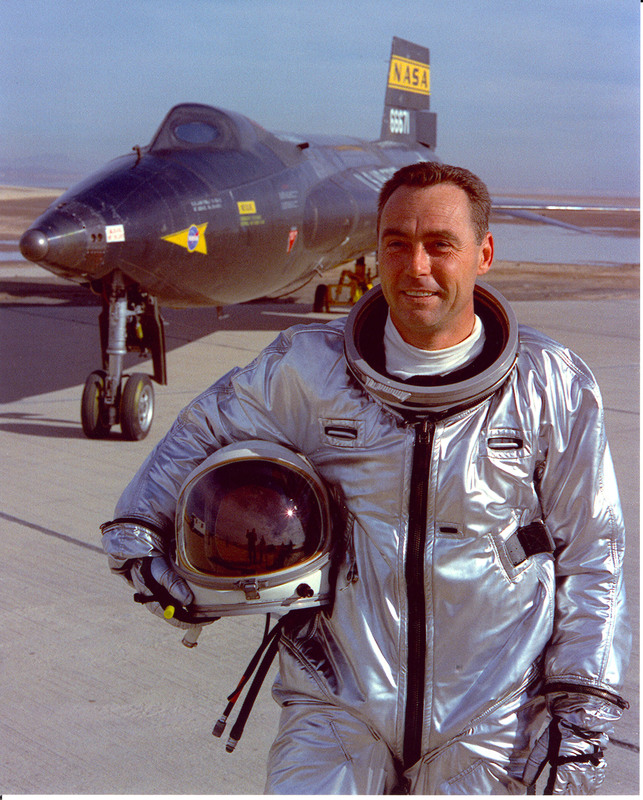 5 December 1963: On Flight 97 of the X-15 Program, Major Robert A. Rushworth flew the number one aircraft, Air Force serial number 56-6670, to an altitude of 101,000 feet 30,785 meters) and reached Mach 6.06 (4,018 miles per hour/6,466 kilometers per hour). 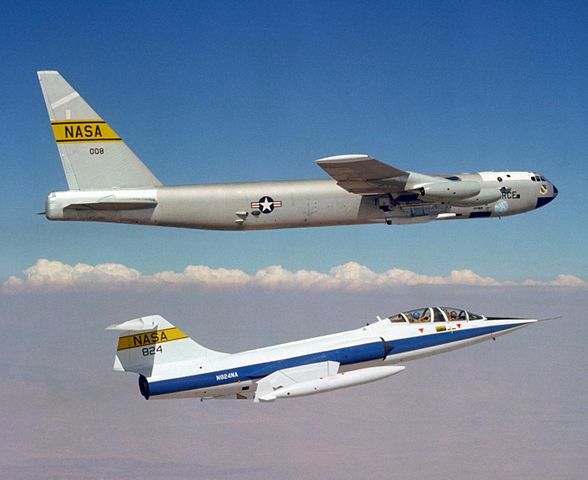 The rocketplane was dropped from the Boeing NB-52B Stratofortress “mother ship” 52-008, Balls 8, flying at 450 knots (833.4 kilometers per hour) at 45,000 feet (13,716 meters) over Delamar Dry Lake, Nevada. 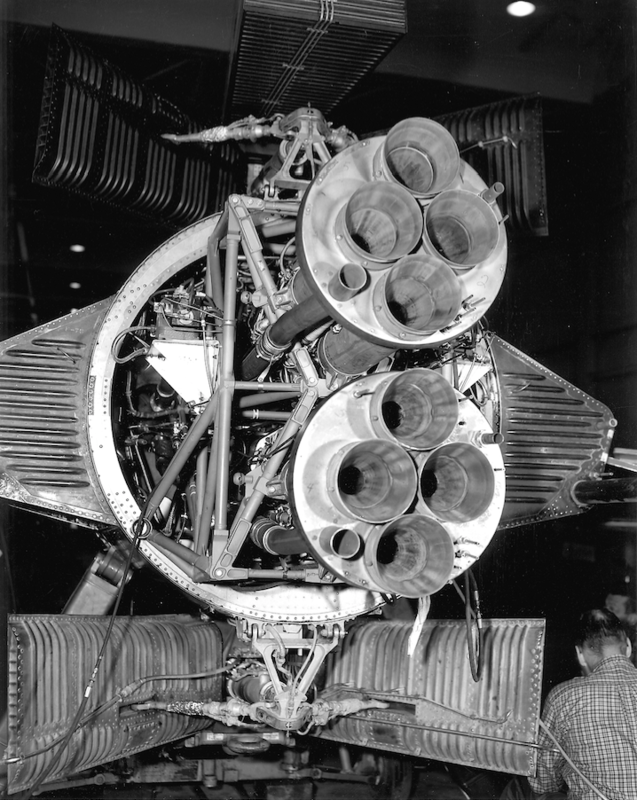 Rushworth ignited the Reaction Motors XLR-99-RM-1 rocket engine, which burned for 81.2 seconds before shutting down. The flight plan had called for an altitude of 104,000 feet (31,699 meters), a 78 second burn and a maximum speed of Mach 5.70. With the difficulties of flying such a powerful rocketplane, Rushworth’s flight was actually fairly close to plan. During the flight the right inner windshield cracked. 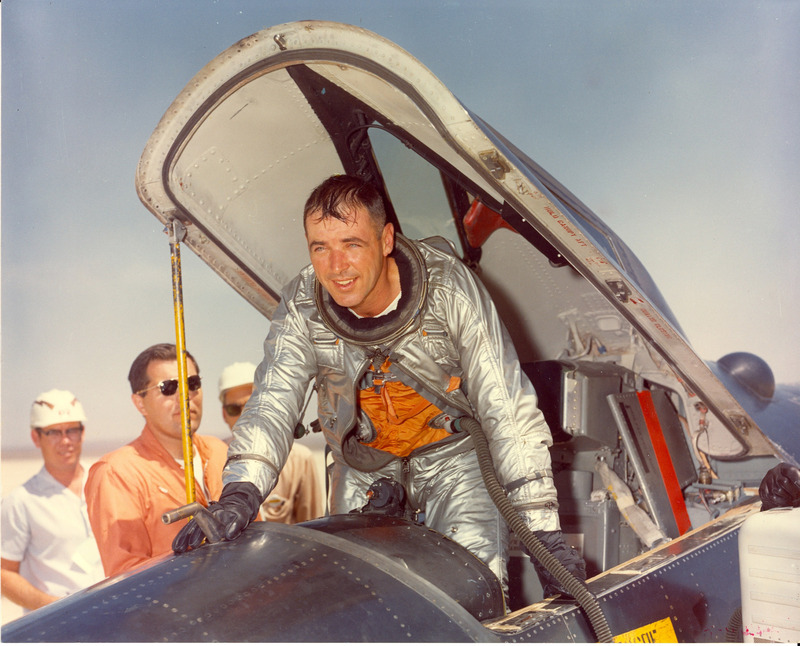 Bob Rushworth landed the X-15 on Rogers Dry Lake at Edwards Air Force Base, California, after a flight of 9 minutes, 34.0 seconds. 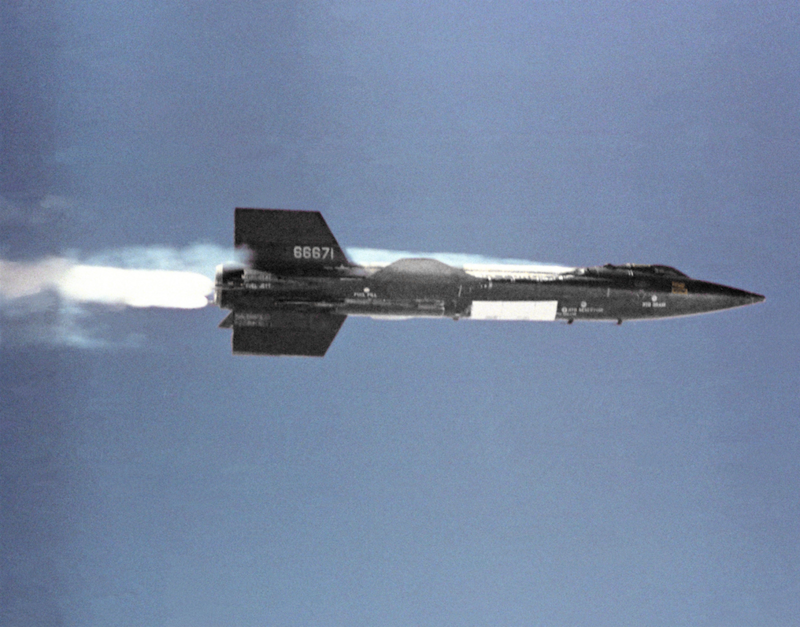 Mach 6.06 was the highest Mach number reached for an unmodified X-15. 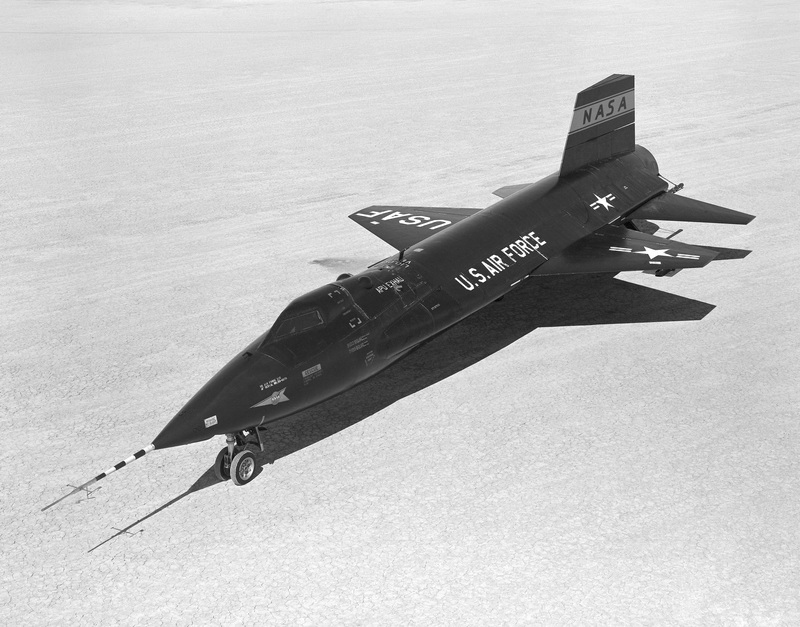 56-6670 flew 81 of the 199 flights of the X-15 Program. 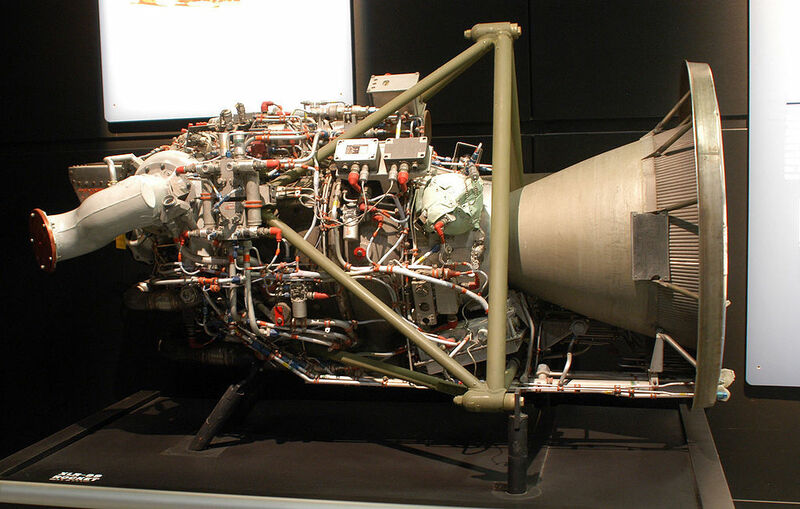 It is in the collection of the Smithsonian Institution National Air and Space Museum. From 1960 to 1966, Bob Rushworth made 34 flights in the three X-15s, more than any other pilot. 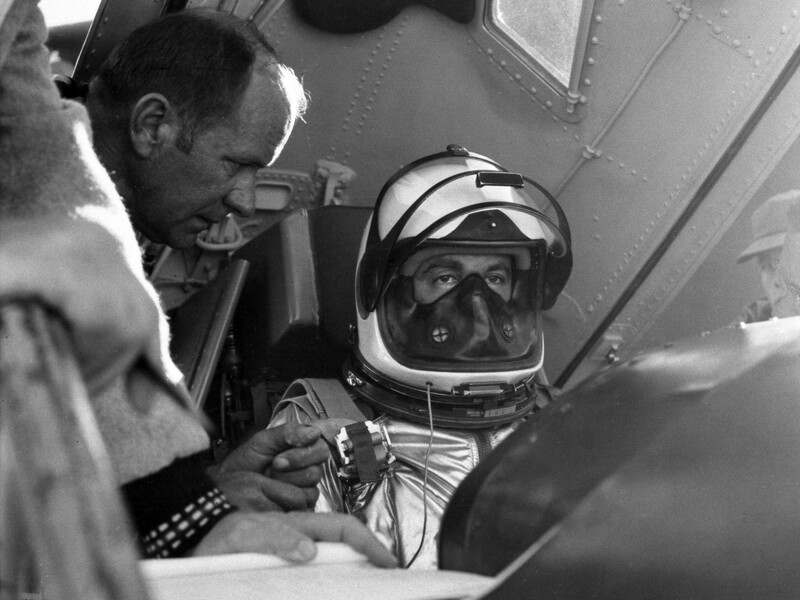 18 November 1966: On Flight 175 of the research program, Major William J. 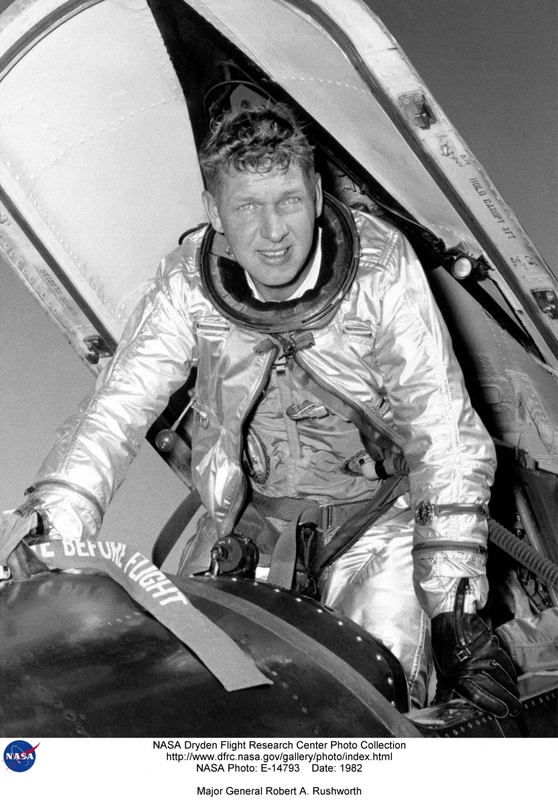 (“Pete”) Knight, U.S. Air Force, flew the newly-modified North American Aviation X-15A-2, 56-6671, to Mach 6.33 (4,261 miles per hour/6,857 kilometers per hour) at 98,900 feet (30,245 meters). 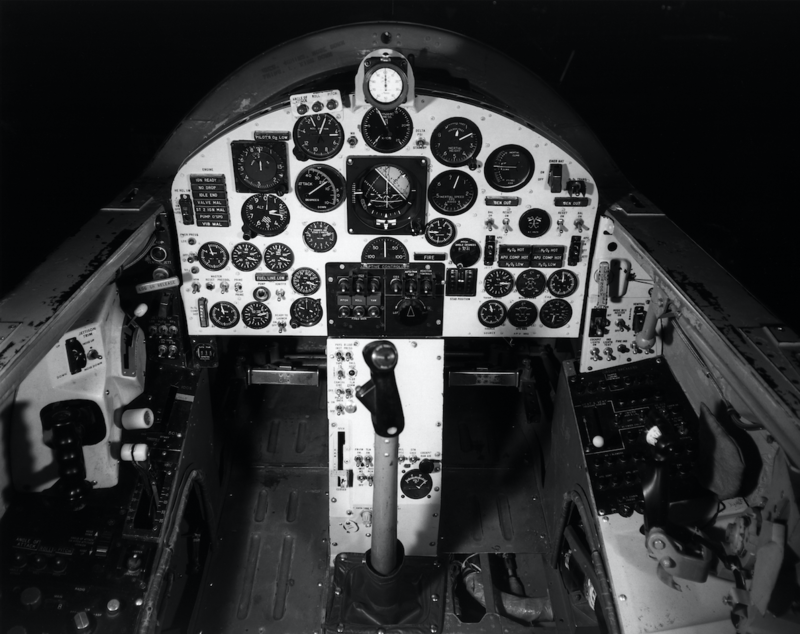 This is just 11 years, to the day, since Pete Everest made the first powered flight in the Bell Aircraft Corporation X-2 rocketplane, with more than 6 times an increase in speed. 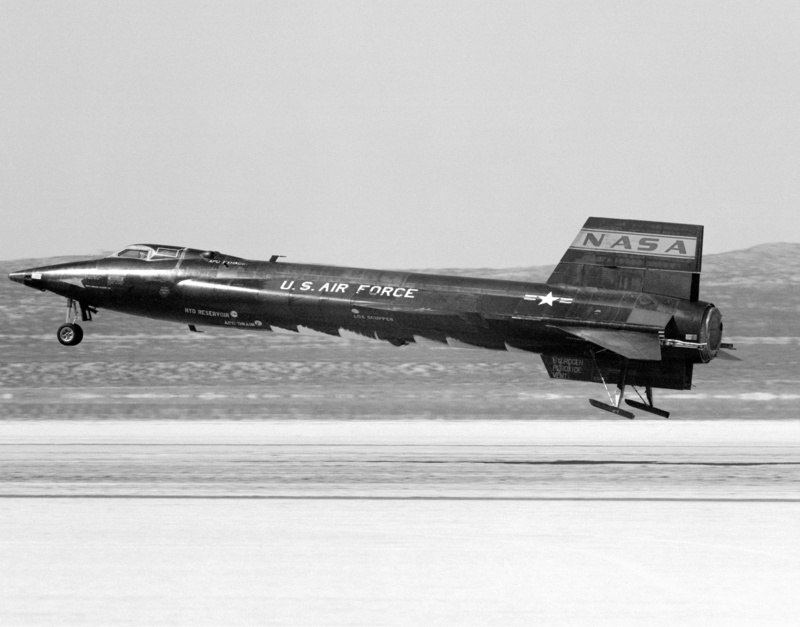 On this date, NASA made an attempt to launch two X-15s, -671 and -672, using the NB-52A 52-003 and NB-52B 52-008. However -672, the number three ship, had to abort the mission. 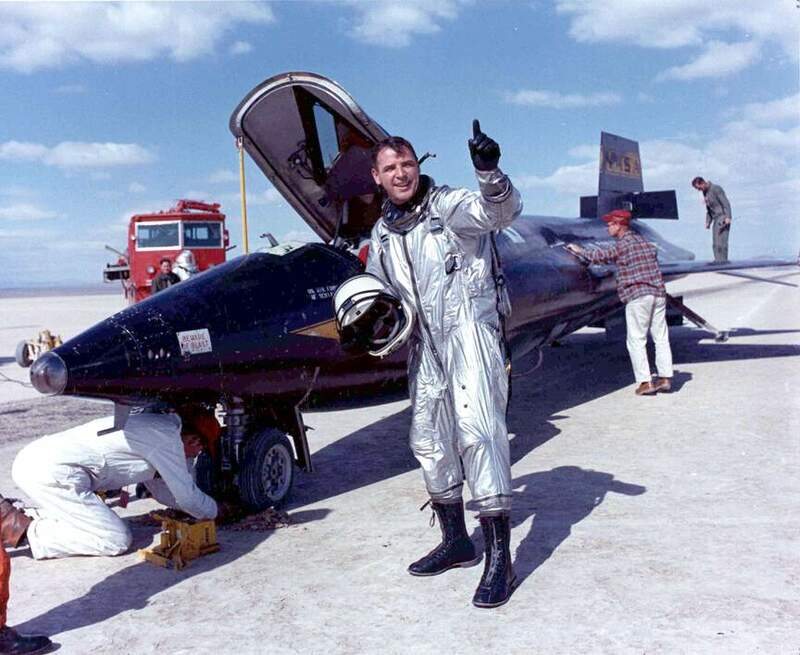 At 1:24:07.2 p.m. local time, Pete Knight and the X-15 were dropped from the pylon under the right wing of the B-52. He ignited the Reaction Motors XLR99-RM-1 and began to accelerate with its 57,000 pounds of thrust (253.549 kilonewtons). Since this was to be a high temperature test flight, it was planned to fly no higher than 100,000 feet (30,480 meters). The denser atmosphere would result in greater aerodynamic heating of the rocketplane. With the two external propellant tanks carrying an additional 1,800 gallons (6,814 liters) of liquid ammonia and liquid oxygen, the engine ran for 2 minutes, 16.4 seconds. The rocketplane had accelerated to Mach 2. The external tanks emptied in about 60 seconds and were jettisoned. The tanks were equipped with parachutes. They were recovered to be reused on later flights. 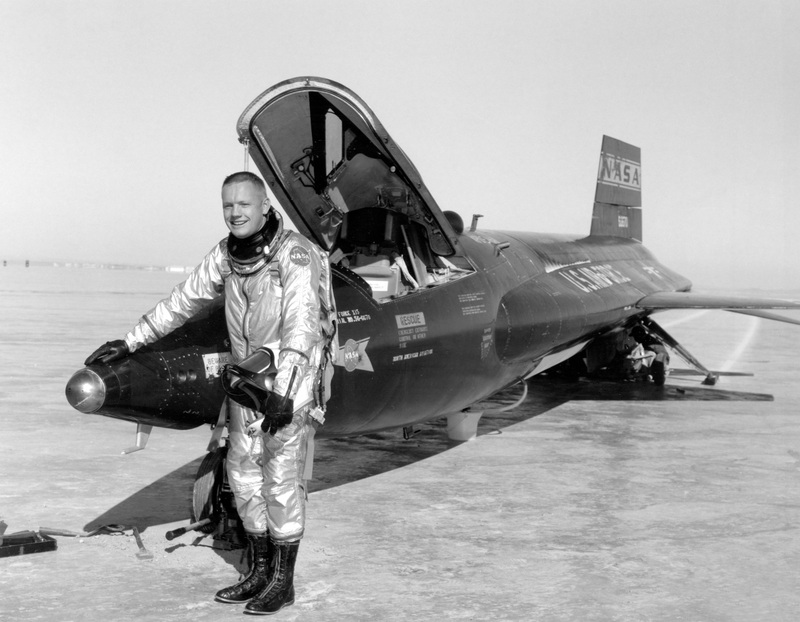 Knight landed the X-15 on Rogers Dry Lake at Edwards Air Force Base. The duration of this flight had been 8 minutes, 26.8 seconds. 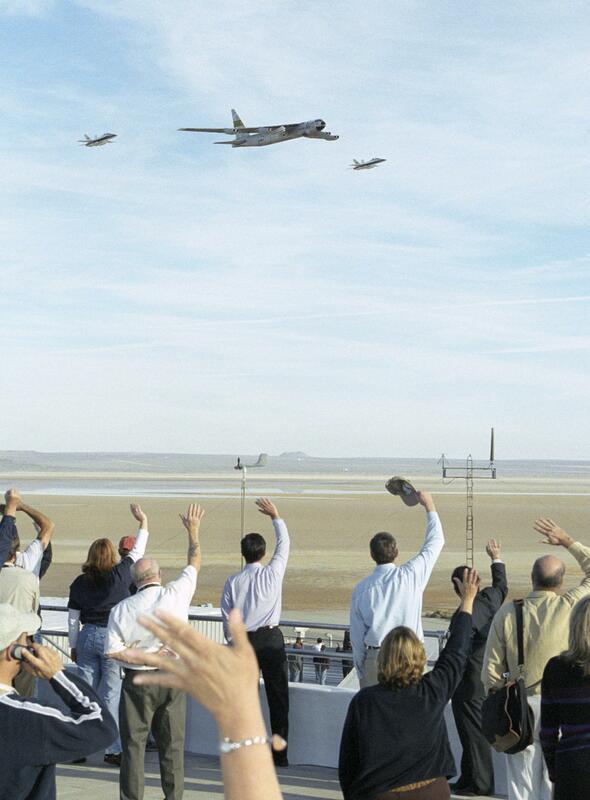 16 November 2004: Balls 8, the Boeing NB-52B “mothership” at the NASA Dryden Flight Research Center (located at Edwards Air Force Base, California) performs a farewell flyover during its final flight. 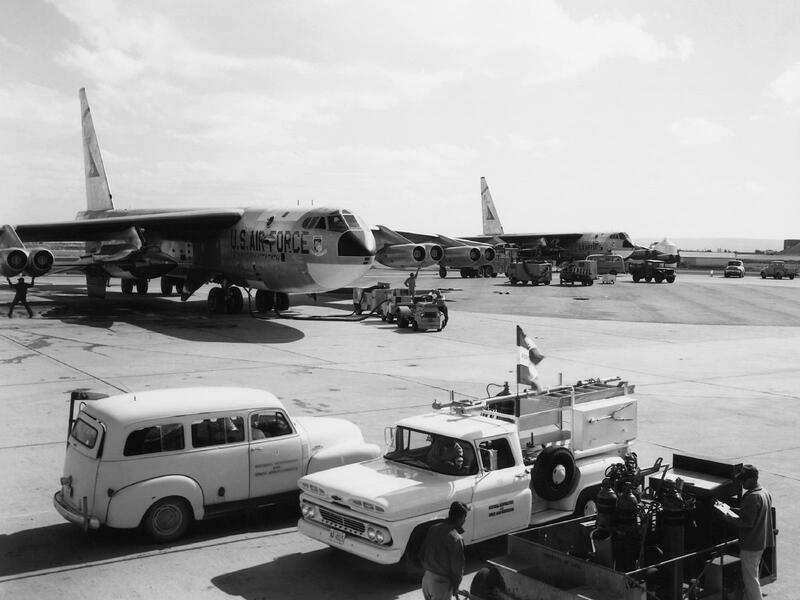 52-008 was both the oldest airplane in the U.S. Air Force inventory and the lowest time B-52 Stratofortress still operational. Boeing RB-52B-10-BO Stratofortress 52-008 was built at Seattle, Washington and made its first flight 11 June 1955. 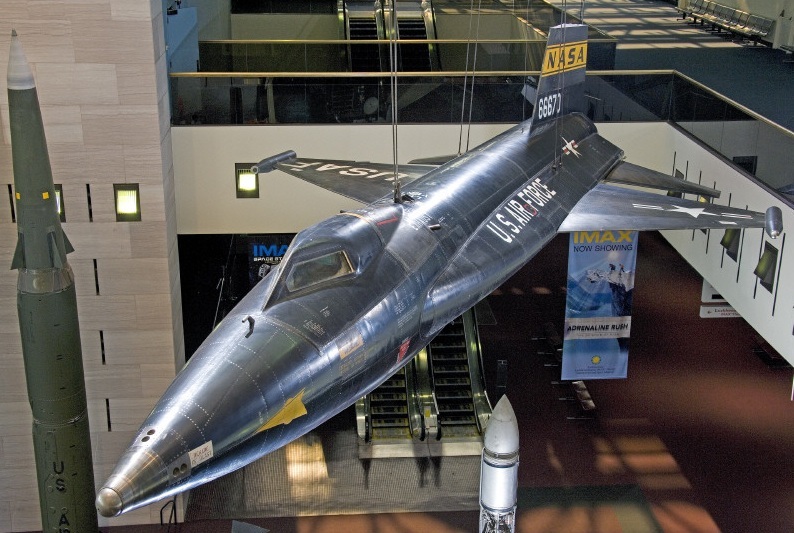 It was turned over to NASA 8 June 1959 for use as a air launch vehicle for the X-15 rocketplane. 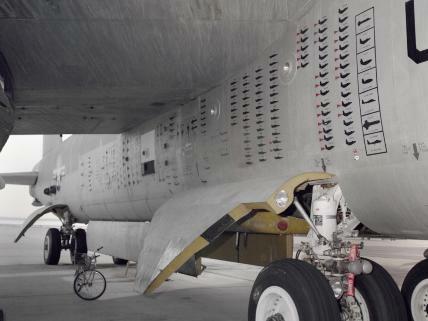 North American Aviation modified the bomber for its new role at Air Force Plant 42, Palmdale, California. It was redesignated NB-52B. 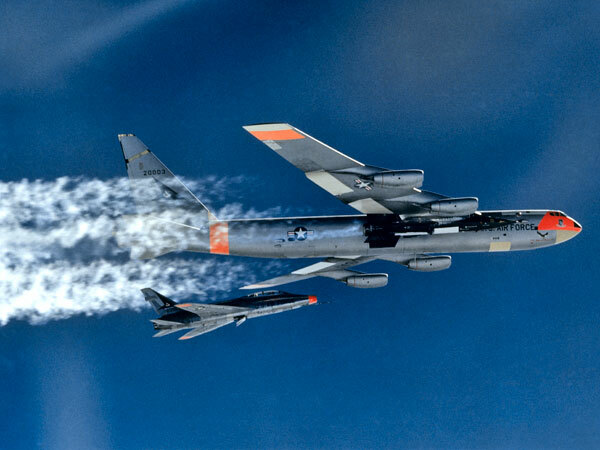 52-008 carried an X-15 for the first time 23 January 1960. Sharing the mothership responsibilities with the earlier NB-52A 52-003, Balls 8 carried the X-15s aloft on 159 flights, dropping them 106 times.